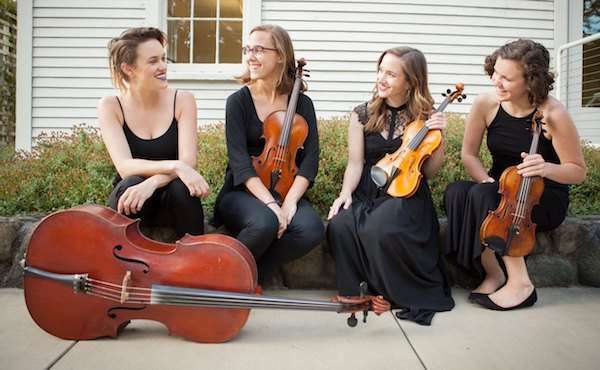 Equally at home with Mozart and Mendelssohn as they are with brand new string quartet compositions, violinists Emily Botel and Abigail Shiman, violist Julie Michael, and cellist Helen Newby met at the San Francisco Conservatory of Music, formed the Amaranth Quartet in 2014 and have been going strong ever since. They’ve been one of the featured groups for the past two years at the annual Kronos Quartet Festival in San Francisco. You can read more about their recent Kronos Festival concert and sample one of the pieces they’ll be playing for us here.